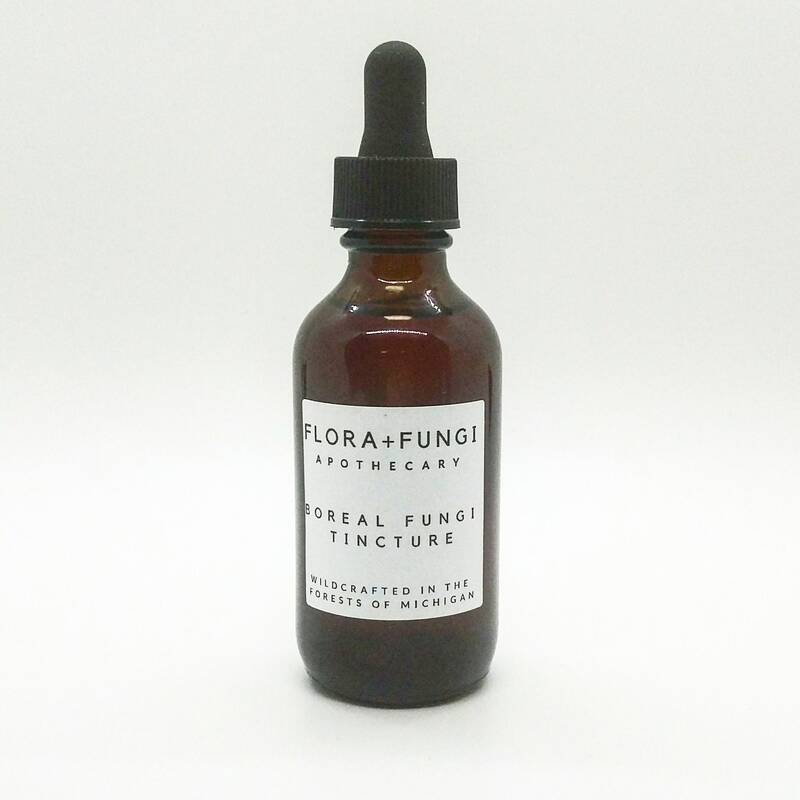 The benefits of four wonderful medicinal fungi combined in one product. 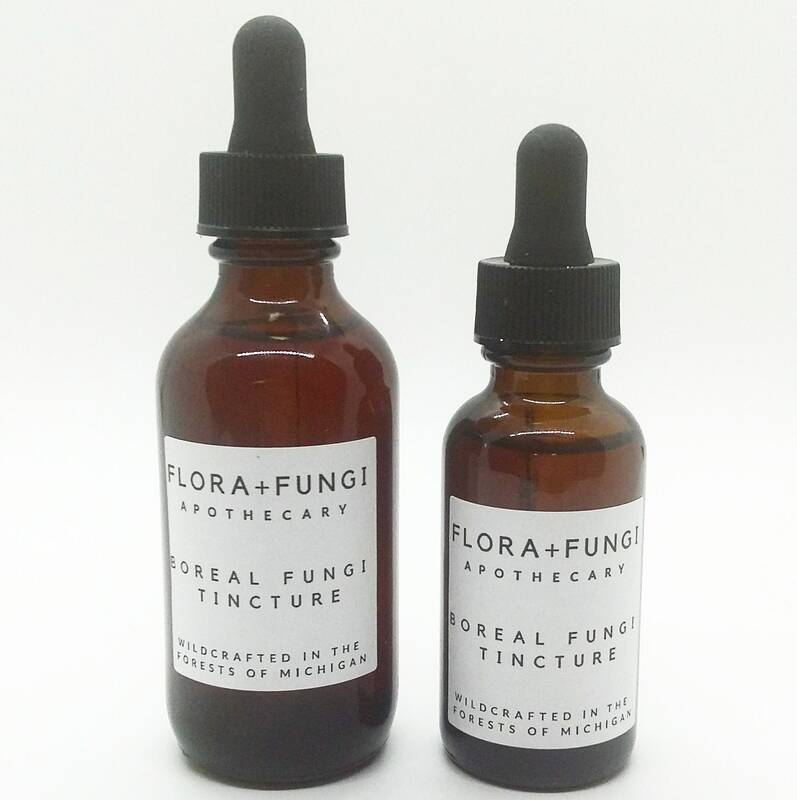 This adaptogenic tincture features Hemlock Reishi (ganoderma tsugae), Ancient Lingzhi (ganoderma applanatum) Turkey Tail (trametes versicolor) and the Birch Polypore (fomitopsis betulina). 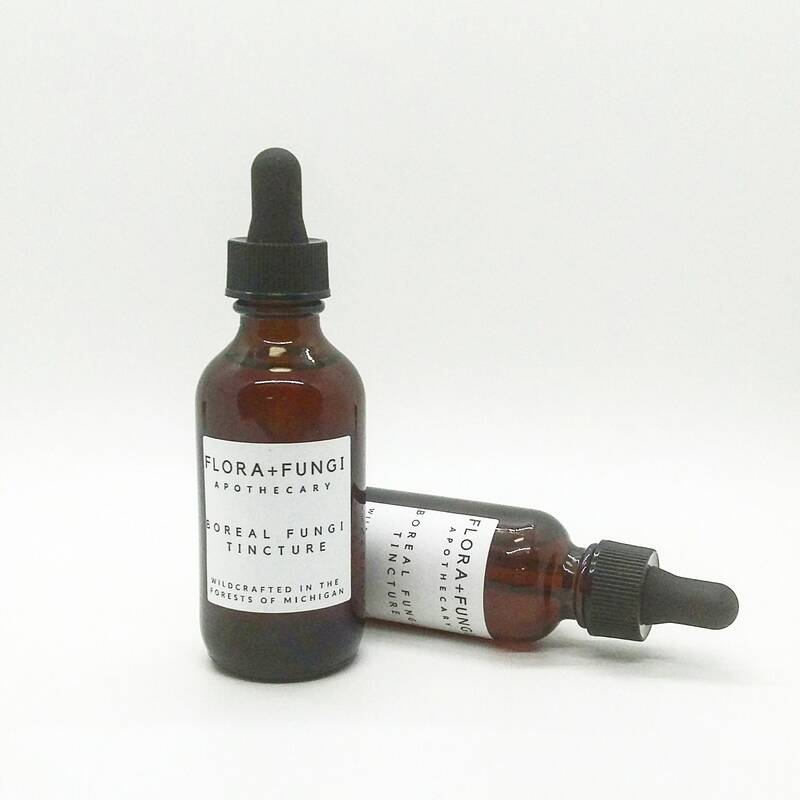 We lovingly wild-harvest our four favorite medicinal mushrooms and craft them into this tincture. Best used as a daily immune booster, or in higher doses in times of illness. 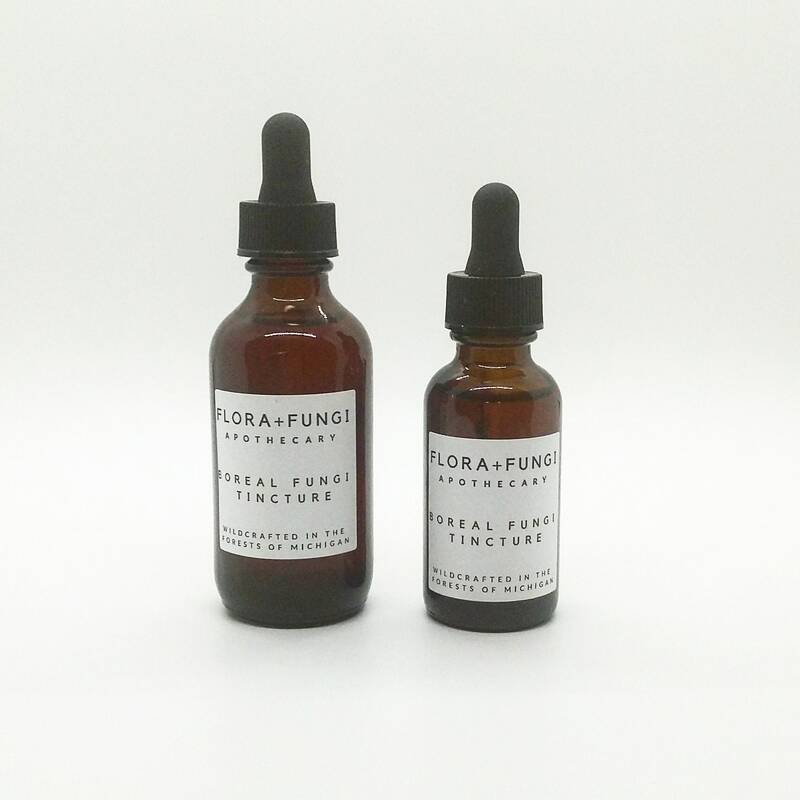 Loaded with polysaccharides terpenoids and polyphenols, this blend of medicinal fungi is immune boosting, anti-inflammatory, anti-bacterial, anti-viral, anti-microbial, and anti-parasitic. 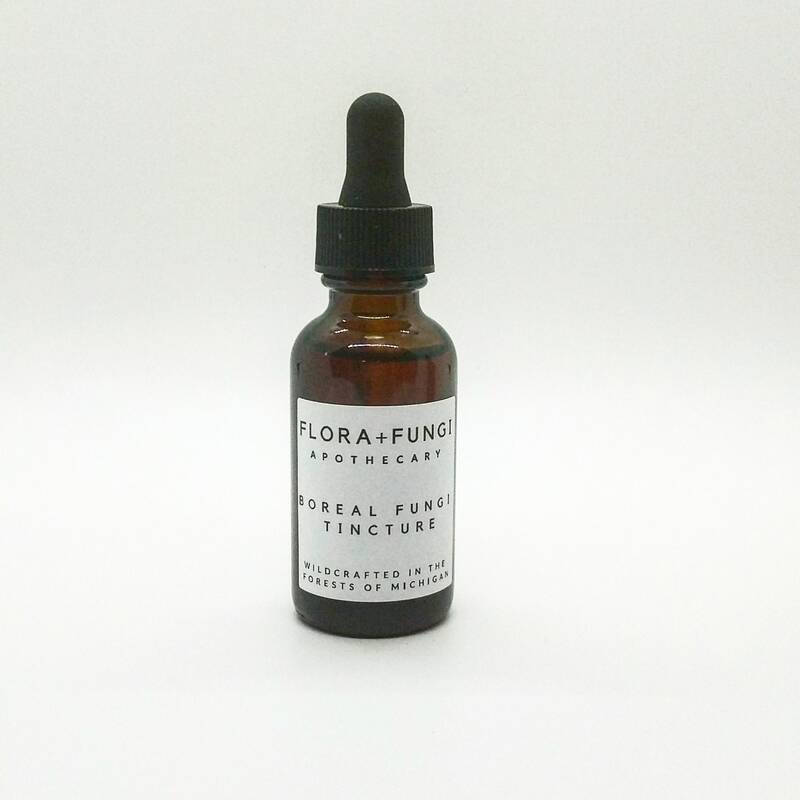 All of our wildcrafted mushroom tinctures are made by a dual extraction process: first the mushroom is soaked in alcohol for several weeks, then strained and the mushroom is then simmered in water for several hours to produce a double extract. Double extraction is necessary to extract the maximum amount of medicinal compounds in the mushroom since they contain some compounds which are soluble in water, and others that are soluble in alcohol. The first phase of extraction in alcohol extracts terpenoids and phenolics from the fruiting body of the mushroom. Next, during the water extraction phase, heat is needed to break down the hard cell walls of the mushrooms to extract the polysaccharides- these are the compounds responsible for the immune boosting properties of the mushroom. Studies of fungal derived polysaccharides have demonstrated immune-modulating, anti-inflammatory and anti-tumor activities.